Over the past year, NCCD staff have engaged in deep conversations about what equity means to us and for us, both as individuals and as an organization with the mission of promoting just and equitable social systems. Many of us participated in Race Forward’s Racial Justice Leadership training last year, which empowered us to address race equity in our organization in more explicit ways. It also pushed us to get real about taking action to further translate our values into practice. Our staff emerged from the training in agreement that we cannot achieve our mission without making a commitment to greater internal diversity, equity, and inclusion. From that, we developed a strategic plan that centers race equity in our work, both internally and externally. Moving from the historical ways in which we express the value of equity in our work to exercising that value in a vibrant and concrete way is a complex process. We needed a strong hand, mind, and heart to guide the work. To this end, I created the new position of Director of Equity as a source of expertise and support to staff at all levels of the organization. This position is an investment in our future and a reflection of our commitment. While working on the job description for this role, I was struck by how much it would require of one person. The right person needed an innate ability to connect with others with authenticity and care as well as the capacity to truly understand the way we work with systems to effect change. It turns out that this special person was already in our midst. Amy McDonald Cipolla-Stickles has been with NCCD since 2012. 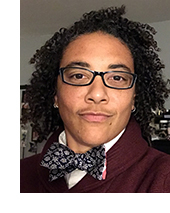 She has long been involved in struggles for equity and justice for transracial adoptees, children and families impacted by the foster care system, teenage parents, LGBT and gender non-conforming people, and people who are financially unstable. She has more than 15 years’ experience in multicultural leadership and facilitation and has led multicultural trainings in a variety of settings including schools, social service agencies, health care organizations, and foundations. Amy’s experience, knowledge, and skills make her the ideal person to help us increase our capacity to center racial equity both in our work and in our workplace. NCCD is very lucky to be able to benefit from the intelligence, creativity, and compassion she brings to this work. We welcome Amy in her new role and look forward to what lies ahead. Kathy Park is CEO of NCCD.